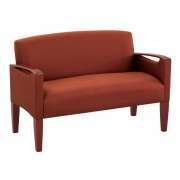 Love Seats & Sofas: Shop From Our Wide Selection! 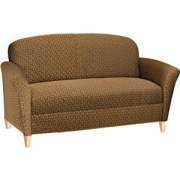 Give visitors, patients and clients a cozy place to sit with Hertz Furniture&apos;s elegant loveseat collection. 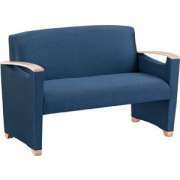 Our settees are designed to provide supportive seating in styles that will enhance your office decor. 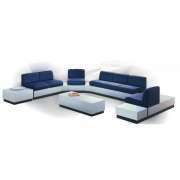 With the right reception seating, anyone who enters your workspace will feel the unique style of the company. 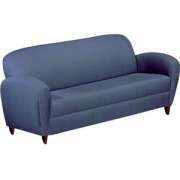 How are loveseats different than sofas? 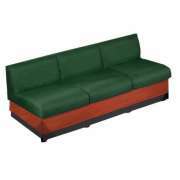 If you don&apos;t have enough room for a sofa, this is a smaller alternative. With the right selection, the upholstery material, pattern and color can really liven up a waiting area. How can my company make the right impression on clients? First impressions have the potential to spark longstanding relationships. Each person that enters a work space has a unique response to the physical surroundings which will impact their overall feelings regarding the company. With reception furniture that projects an accurate image of your company, you will have a better chance of attracting clients who are compatible with your business philosophy. Having comfortable seating in the waiting area demonstrates a personal regard for every individual that comes into an office. With a warm and homey environment to wait in, people won&apos;t mind if they have to sit down for a few extra minutes before being called in to a meeting or appointment. 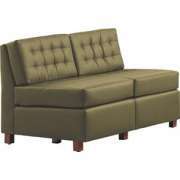 Loveseats offer the opportunity to show warm hospitality and good taste. What can make a personal office more inviting? 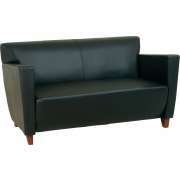 High-level executives with large personal offices might also enjoy having a comfortable place to sit from time to time. A settee provides a cushy place to relax for a few minutes during the long day, so professionals can return to work rejuvenated. Company presidents, school principals and firm partners host all kinds of meetings in their offices. 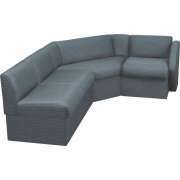 Love seats provide an appropriate place for more informal situations. Their cozy homey feel will diffuse pressure and enable professionals to enjoy open communication. This is especially helpful during tense discussions such as budget meetings and teacher assessments. How do you choose a loveseat? 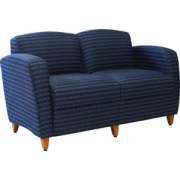 Many factors contribute to the overall style of a love seat. One important component is the upholstery. 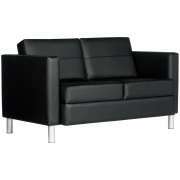 We have models with leather, vinyl or fabric upholstery options. Each of these materials has its own unique benefits. Leather is a timeless selection which leaves a luxurious high-class impression. Vinyl is easy to clean and resists tears. Fabric is available in a huge selection of colors and patterns so you can coordinate with virtually any space or color scheme. 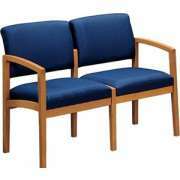 What are the different styles of loveseats? The unique designs of a particular reception seating collection work in conjunction with the upholstery that is selected. 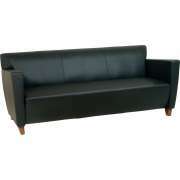 We have a number of loveseat sofas which are appropriate for a variety of spaces. The High Point Rotunda Collection offers a modular arrangement which provides the ultimate flexibility. Individual components can be lined up however you choose. With pieces in unique shapes and sizes, you can even create curved configurations that incorporate side tables. For those who are not sure whether individual guest chairs or sofa seating is preferable, Rotunda reception seating can be arranged and rearranged until the ideal custom-style fit is achieved. Some law offices, accounting firms and other companies who offer highly-skilled professional services like to project a classic image of authority and expertise. 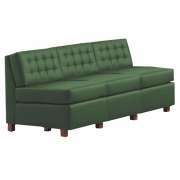 Better Built Quality offers traditional sofas modeled after Chesterfield couches. A conservative style is achieved by hand-tufted accents with brass-nail trim. 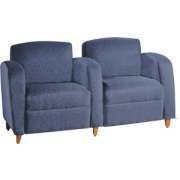 The vinyl seats of these 2 seater sofas will maintain their appeal through many years of mergers and acquisitions. A cutting-edge startup or other modern business venture requires unique furnishings that demonstrate contemporary style. The Princeton Collection from Regency seating has sofas and settees in a modern style that is classy enough for a serious business. 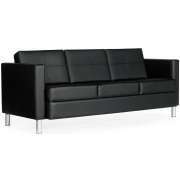 The settee, sofa and chair are upholstered with luxurious top-grain leather. What kind of kids waiting room seating can I get? Depending on what kind of company or practice you have, adults might not be the only clients you serve. When furnishing an office for a doctor, dentist or therapist who treats children, it is important to make sure that young patrons can enjoy the same comfort as their older counterparts. 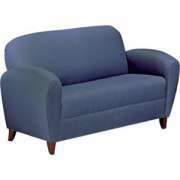 A childrens loveseat will fit right in with other reception furnishings, while demonstrating your practice&apos;s concern for patients of all ages. Let Hertz Furniture help you make a positive first impression that will stick with our cozy and attractive collection of loveseats and settees. 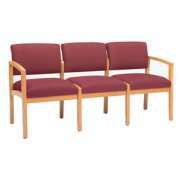 Our reception furniture will transform your waiting room into an inviting and professional space. If you require assistance while selecting upholstery patterns or you aren&apos;t quite sure how many seats you need in your space, contact the Hertz Project Solution Team for free project-planning advice.